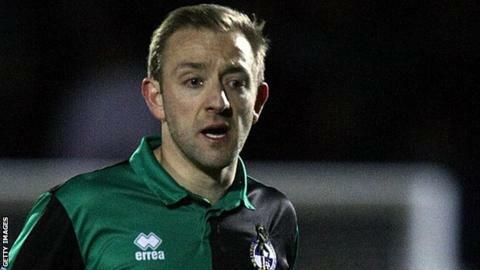 League Two club Tranmere Rovers have appointed player-coach Matt Gill as assistant to manager Rob Edwards. Gill, 33, arrived at Prenton Park during pre-season and replaces John McMahon, who left the club by mutual consent last month. The midfielder, who has made 504 appearances during a 17-year career, will continue to form part of the Rovers first-team squad. "I'm honoured Rob and the club have offered me the chance," Gill said. "I've only been at Tranmere a few months but I've enjoyed my time here and am keen to help the club push on," he told the club website. Edwards, a former team-mate and coach of Gill during his spell at Exeter, took over at Tranmere in May following the sacking of Ronnie Moore the previous month. "I'm delighted to have Matt working alongside me," he said. "He fits in really well with our coaching staff and has given me some great input since he has been here."